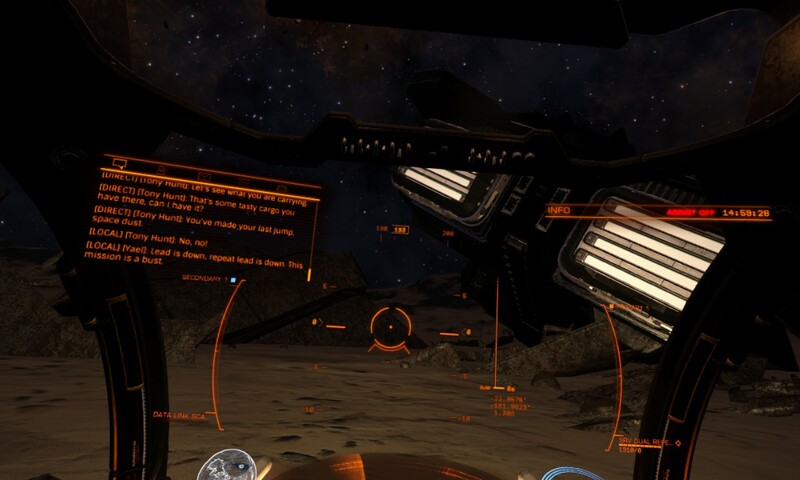 I was looking at my screenshots of the tip-offs I've been to (all two of them) and noticed that the first one I found isn't listed here on in the official thread yet. 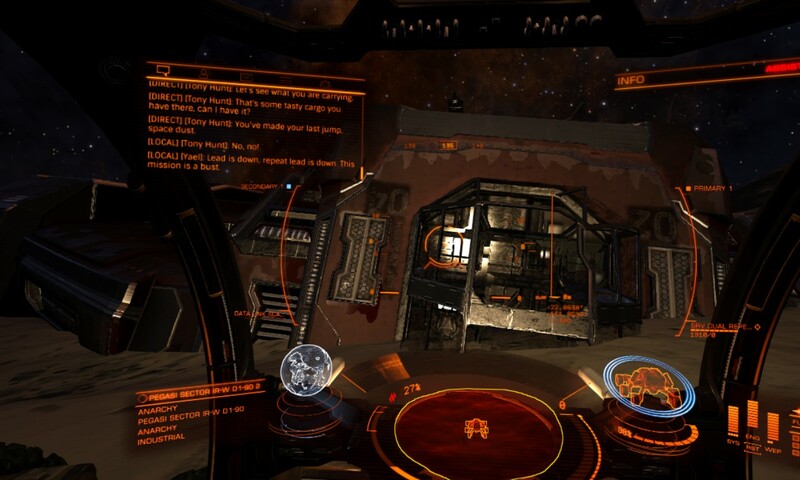 It was a large crash site with a wrecked Anaconda, a wrecked Asp Explorer, and a number of cargo canisters strewn about. 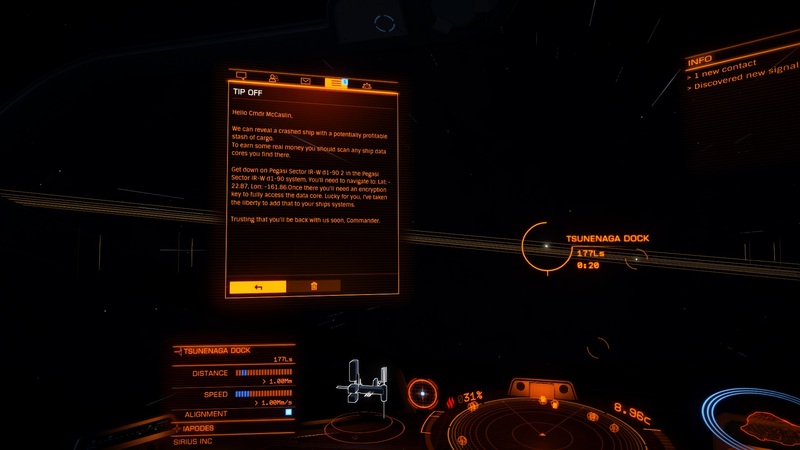 I don't have a screenshot of the message from the data core, but as I recall it was the "hazardous cargo aboard" one. This led me to expect a UA among the cargo, but I wasn't able to find one. This was around when 2.1 first came out. I'm not sure if it's still there now but I thought I might as well post it in case anyone wants to take a look. I actually received the same mission (6/22/2016), but deleted the tipoff message by mistake. I'm not certain if my "encryption key" would still be valid (after this length of time, and with deletion of the tipoff message).